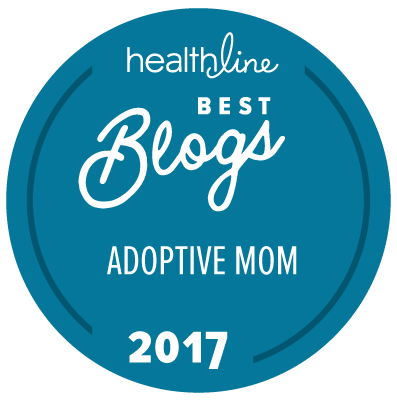 Will My Husband Ever Be On The Same Page As Me With Adoption? It’s not always the case, but often, men can be the toughest nut to crack when it comes to the adoption journey. I know from personal experience. There are a few reasons why this happens, and some key steps you can take to eventually arrive at the same place with him on this journey. Back in the day, before we got married, I said no to just about everything. In fact, if shaking my head was an Olympic sport, I would have taken the gold. I was such a difficult person to get along with in those days. One of the biggest topics Kristin and I disagreed over was parenting. Sitting in my metallic blue Pontiac Firebird one cold November night, in the fall of 1998, we had a discussion fight over parenting. Kristin wanted to adopt. I did not. At all. Period. Case closed. End of discussion. Or, so I thought. It wasn’t that I was against adoption…I just didn’t understand it. On a larger scale (that I can fully admit to now, 18 years later), I was afraid. Of what, I really don’t know. Maybe my limited understanding prompted the fear of the unknown? Or perhaps I was so dead-set on having children biologically that I left little room for any other idea. Your husband may not be against it, he may just be afraid. The first point may have caught you off-guard, but I’m willing to bet the second one didn’t surprise you at all. Let’s talk through each point, one by one. Chances are (and I could be wrong, but usually I’m not), your man is doing the very thing he’s been hard-wired to do- protect. Protect his home, protect his assets, protect you, and protect his family. Now, while this protector characteristic can get distorted, convoluted, and even be taken to extremes, keep in mind- this is a good trait to have. The problem, however, is that protector traits can quickly cause fear to build up, even when there’s nothing to fear. It doesn’t help that our society mostly plays the bad story lines of adoption, instead of all the good ones happening every day. So, your husband is most likely dealing with a little bit of the fear-bug. Second, and again, I don’t have to really tell you this… nagging, begging, or criticizing him over and over does not work. If you feel like you’re hitting a brick wall, you probably are. Besides, if he did decide to concede, give in, just to stop you from nagging him, he’s not really entering the adoption journey for the right reasons. He’ll feel resentment and that eventually will boil over into everyday life, and your family. Listen to his fears. One of the biggest reasons we stay on different pages, in a marriage relationship (or any relationship), is lack of listening. That goes for both of us. The truth is, men and women have different fears about different aspects of life, marriage, family, raising children, finances and more. The adoption journey is no exception to this rule. We spend a lot of time sorta listening, but not really listening. The reason is that we believe in our perspective. We believe in what we believe in. But, you need to take time to honestly listen to what he’s afraid of (even if it’s a bit off base). You both need to take a lot of time, and space, to adequately talk and listen. Invite him on the journey. Invitation always beats nagging. The reason is simple- an invitation is, well, an invitation! You’re invited to join as opposed to pushed into. Invitation communicates, “I want you here. I want to do this with you.” Nagging communicates, “You have to be here even if you don’t want to be, or are ready to be!” When you’re invited you feel wanted. How do you do this without sounding like you’re nagging? It’s simple really. Ready? Here goes….Don’t nag. Seriously though, bring it up once, and then let it go after that. Give it time to marinate. You may need to give it a lot of time. Create space for community. There were two big things Kristin did for me years ago, that were pivotal on our adoption journey. She created space for me to enter into community. At the time I served as a youth pastor in a small church in Indiana and I was part of a network of youth pastors who met monthly to swap ideas, and talk. It just so happened that one of the guys in the network was an adoptive parent. He and I got to talking. This went on for months. Eventually my fears began to ease. In the process, Kristin didn’t say anything or do anything. She allowed the community I was in to lead me. Pray. An older, wiser person, told Kristin, “Stop nagging him, and start praying for him.” I was a stubborn, self-centered, prideful, 25-year old kid back in those days. Even though I should have been listening to my wife’s heart a little closer, I wasn’t. Kristin committed to praying for me. She never nagged me, never pushed me, just patiently waited. Prayer works friends. It changed my heart. Believe me- if my heart can change, so can your husbands! If you’re not a person of faith, that’s okay. You can still pray for heart and mind change. Give it time. This may be like turning an aircraft carrier. Lots of time, lots of space. Your husband may not respond immediately to your prayers, your invitations, or your listening ear. You have to give this time. And it may be a lot of time. She brought up the idea of adoption in 1998. We finalized our first adoption in the summer of 2002. Hang in there. Remember…a lot of time and a lot of space. If you two are meant to adopt…it will happen! Today, I love my children more than anything, and I couldn’t imagine my life without the storyline of adoption. I wouldn’t change a thing. Your husband will arrive to this place. It just takes time. Have you heard about Road Trip for foster and adoptive dads? A few years ago a couple of friends and I got to talking and dreaming, and we launched the first-ever event in the mountains of Colorado exclusively for foster and adoptive dads. We’re excited to hang out this fall. Registration is now open but space is filling up. Click here to register today! Question: Has this been a struggle for you? Share your story with us in the comment section below. You can leave a comment by clicking here.